Tulsa has it’s sponsored penguins on many street corners which benefit the city zoo. 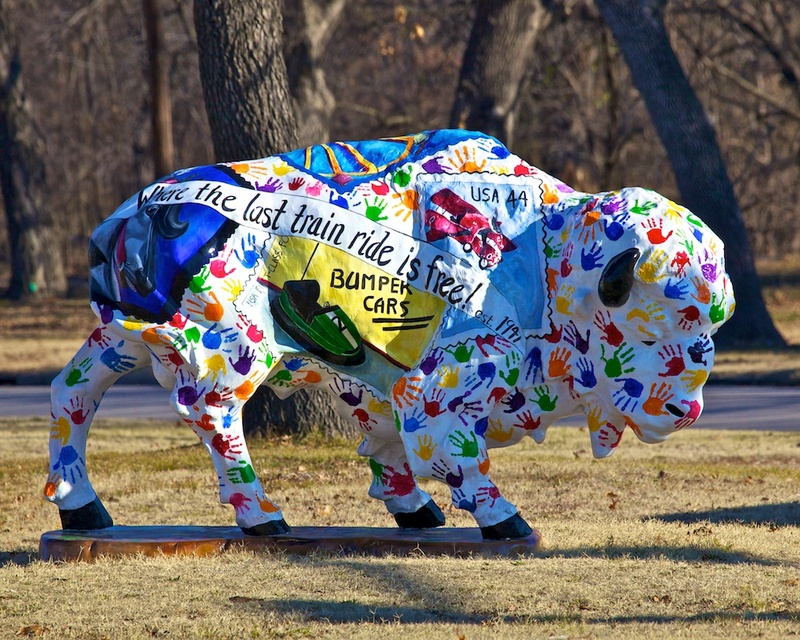 Bartlesville started this campaign of buffaloes which you see in several parts of the city. This one is for the Kiddie Amusement Park. The park has been in operation for 70 years and is still growing.